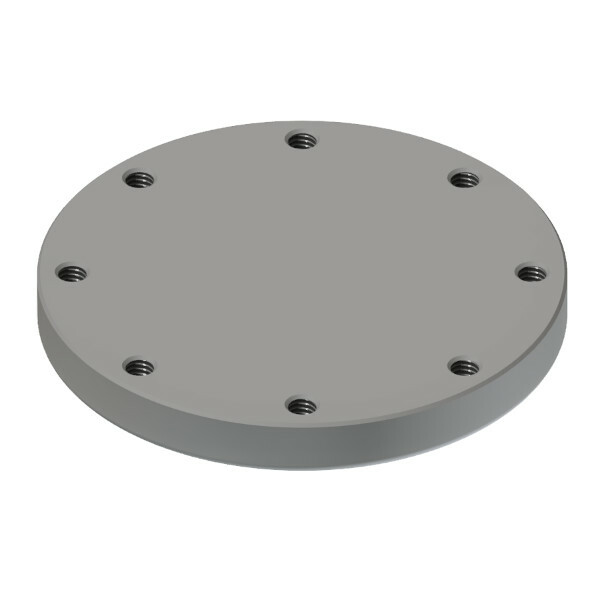 Aluminum 3″ blind flange with threaded blind holes. Useful in blanking off bolted vapor valve mounting hole in 20″ manhole. Flange bolt pattern meets requirements of TTMA piping flange. Bolt Circle – 4.875″, 8 holes threaded 3/8-16 UNC .375 deep. Flange is .66″ thick. Mounts with gasket RGA301_ _, and eight 3/8-16 bolts.